Editor Joan Sobel, A.C.E. Discusses Working As An Assistant Editor with the Late Sally Menke, A.C.E. on "Kill Bill: Vol. 2"
Editor Joan Sobel, A.C.E. Discusses Working As An Assistant Editor with the Late Sally Menke, A.C.E. on "Kill Bill: Vol. 2" from Manhattan Edit Workshop on Vimeo. Editor Joan Sobel, A.C.E, Discusses Working As An Assistant Editor with the Late Sally Menke, A.C.E. on "Kill Bill: Vol. 2" at EditFest LA 2011. Craig McKay, A.C.E. 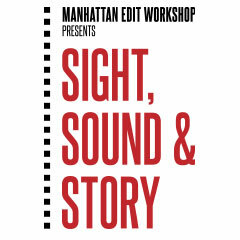 Discusses the Editing of "Babies" from Manhattan Edit Workshop on Vimeo. Editor Craig McKay, A.C.E. talks about the process of editing a film without dialogue as seen in "Babies." 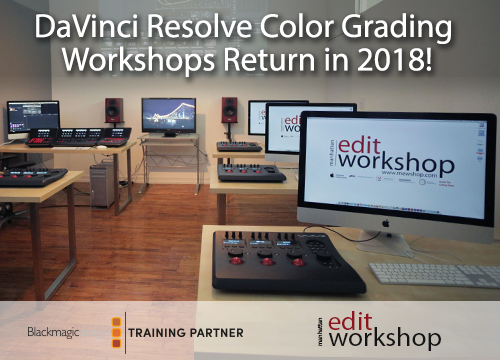 This video was produced by Manhattan Edit Workshop and edited by Dan Jamieson. Editor Joan Sobel, A.C.E. Discusses Working As An Assistant Editor with the Late Sally Menke, A.C.E. on "All The Pretty Horses"
Editor Joan Sobel, A.C.E. Discusses Working As An Assistant Editor with the Late Sally Menke, A.C.E. on "All The Pretty Horses" from Manhattan Edit Workshop on Vimeo. Editor Joan Sobel, A.C.E, Discusses Working As An Assistant Editor with the Late Sally Menke, A.C.E. on "All The Pretty Horses" at EditFest LA 2011. Michael Berenbaum, A.C.E. Discusses Barton Fink Part IV from Manhattan Edit Workshop on Vimeo. Editor Michael Berenbaum, A.C.E. discusses happy accidents on the set of "Barton Fink." For more information on Editfest NY please go to editfestny.com. This video was produced by Manhattan Edit Workshop and edited by Dan Jamieson. Michael Berenbaum, A.C.E. Discusses Barton Fink Part III from Manhattan Edit Workshop on Vimeo. Editor Michael Berenbaum, A.C.E. discusses the magic of dialogue editing, using a scene from "Barton Fink." This video was produced by Manhattan Edit Workshop and edited by Dan Jamieson.